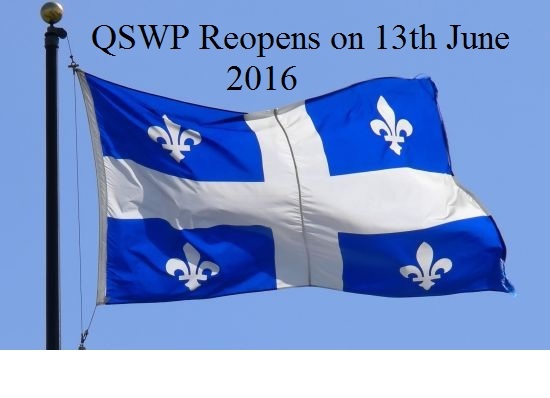 June 13th – 20th, 2016: First Acceptance Session- Applicants those who generated an online user account will be able to conform their requests for a Quebec Certificate of Selection (CSQ) and pay the required fees. A maximum of 5,000 applications will be accepted during this duration on a first come, first serve basis. June 20th 2016 – March 31st, 2017: Second Acceptance Session to be committed by MIDI - Applicants who have generated an online user account will be able to accept their application for a CSQ and pay the required amount. A maximum of 5,000 applications will be accepted on a first come, first serve basis, during this second period. Applications for a Quebec skilled worker visa other than the above allotted times will not be considered, while those eligible under the Quebec Experience Program – or with a valid job offer – can lodge an application at any time and are not restricted to apply during the mentioned sessions. Additionally, applications with a valid study or work permit are excepted from the time restrictions stated.